Compare these themes with that of “Down with the Sickness,” song #36 on my list of top 100 favorite rock songs. Hawaiian society, in song, seems so simple and joyful compared with the view of our abusive society that the band Disturbed sings about. Yet, although I turn very often to my playlist of Hawaiian music, I do love Disturbed. One of my greatest regrets is once passing up a chance to hear their incredible sound live in concert. 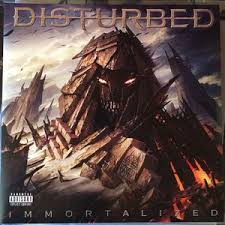 This morning I listened to their newest album, “Immortalized,” described on Rhapsody as “heavy, loud and shuddering with rage.” Their rage is directed against the wrongs of the world, however; it doesn’t add to them. And interestingly to someone pushing 60, the album also offers a straightforward version of Simon and Garfunkle’s “The Sound of Silence,” the theme of which, in fact, is exactly what Disturbed’s songs are about. From that standpoint, it makes sense that the songs in my top 100 list range from heavy metal to folk, pop to grunge, synthrock to pop punk, new wave to southern rock. The themes are the same across genres: Love. Heartache. Broken promises. The meaning of life. Spiritual strength. Dissipation and addictions. The type of sound, anything from muddy guitars to soaring violins, doesn’t matter as long as the song is good. For me, a song has to be tuneful, which is why I turn so often to Hawaiian music and also to my playlist of American standards and soft pop sung by Tom Jones, Engelbert Humperdinck, Barry Manilow, Andy Williams, and the like. I dare you to spot a song on my list that doesn’t have a strong melody and/or inspired musicianship! Lack of melody is the big reason there are no songs on my list from later than 2009. Rock (and country music, for that matter) is in decline at the moment, even worse than it was during the 1980s. I try to listen to both new rock and country every now and then, and despite the odd standout, I hear simplistic and repetitive music. Kind of like Handel on a particularly bad day (you don’t see much Baroque on my top 100 classical list, do you!). I couldn’t keep the list to 100, obviously. Vicious chopping was necessary to even get it down to 142. Therefore I hereby announce the first item on my 70th birthday bucket list: compose a list of my top 500 rock songs! 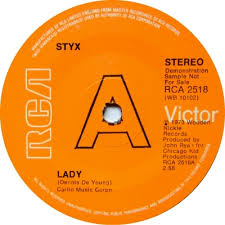 Two songs on the current list are from the fifties; 38 from the sixties; 41 from the seventies; 8 from the eighties; 37 from the nineties; and 17 from the decade from 2000-10. The artists range from John Denver to Bush, Johnny Mathis to the Ramones, The Beastie Boys to Sarah McLaughlin. Some songs are arguably country; in fact, I have “Chevy Van” on both this rock list and my country list because I learned it from Top 40 radio, not country radio. A link to my Top 100 Rock Songs is found here or at the top of this blog. I hope you enjoy reading through my list and comparing it with your own. Over the past several years since I started trying to pick my favorite songs, the order of my top 10, except for “Lady” at the top, has changed a number of times. I expect that to continue between now and when I turn 70.